Who's ready for a baby bump? I know I can never get enough of a sweet round belly. This beautiful momma is not only a friend but a coworker and fellow photographer. 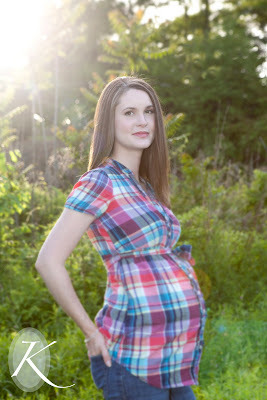 Needless to say I was thrilled when she asked me to do her maternity session! We spent the better part of two hours riding around taking pictures to capture that end of her pregnancy, Marcy is due at the end of the month, and we are all anxiously awaiting Violet's arrival. If you would like to read more of Marcy and Spencer's story go here to see their blog! I am not usually a fan of bare belly maternity photos (and Marcy might kill me for posting these) but I just couldn't resist. These may be some of most favorite images ever. What a radiant mom! Thank you, Marcy and Spencer, so much! I can't wait to meet baby Violet. the last 2. wow. really, really beautiful and timeless. such inspired work, k.
I love you C! You always lift my spirits. Thanks for an encouraging word about my work. Kamin, I think your work gets better and better! I emailed you about newborns...again! LOVE these pictures. The colors are so vibrant, and incredible, and the candid shots are amazing. You have it, my friend!